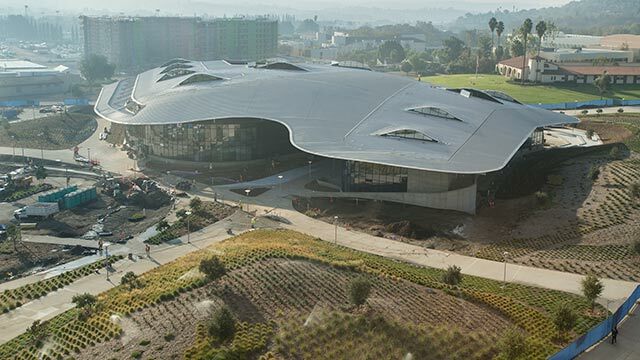 Travel back in time a few months with university photography Tom Zasadzinski as he chronicles the development of Galactic Expedition in a photo slideshow. 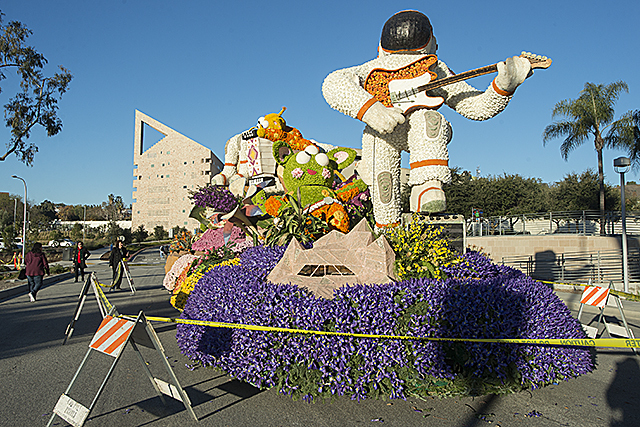 Students from both Pomona and San Luis Obispo campuses worked for months to design, build and decorate the float. 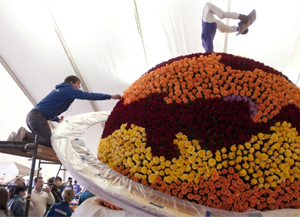 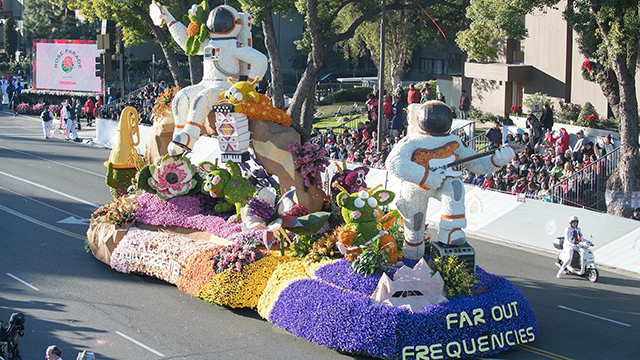 Cal Poly Universities’ 63rd entry into the Rose Parade won two major awards this year: the Fantasy Trophy and the Viewer’s Choice Award.